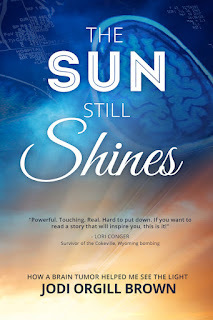 In a candid and witty memoir, Jodi recounts how her life was transformed when, as a thirty-three-year-old wife and mother, she was diagnosed with an inoperable brain tumor. Unwilling to accept her new fate, Jodi's family searches for a doctor who will join their fight against the odds. But when the surgery that could save her life thrusts her into battle with a devastating spinal fluid leak and facial paralysis, even her own children fear her new appearance and physical failings. Jodi perseveres, even with an injured body and spirit. 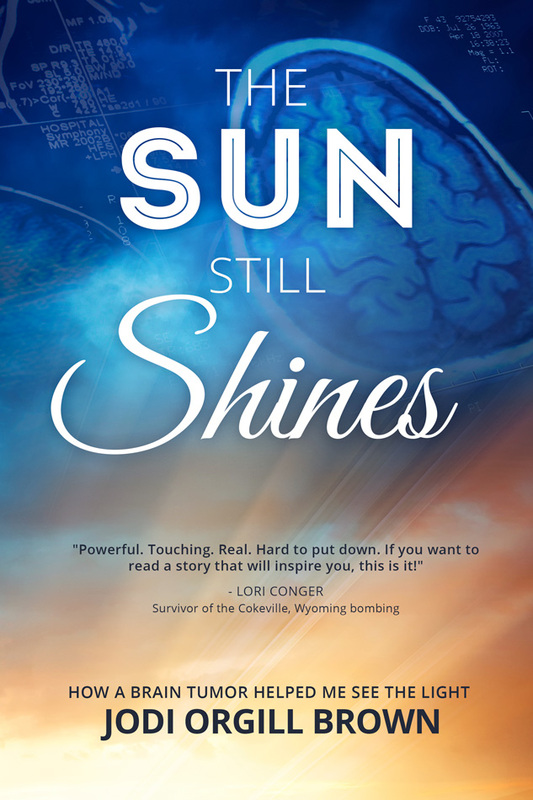 Interweaving the inspiring, provoking, and sometimes disturbing, Jodi reveals the hells and highs of her journey as she fights for hope and purpose—and life. Jodi Orgill Brown is inspired by people who live fulfilled lives in spite of their struggles. She loves spending time with her muses, namely, her husband Tolan, and their four children, Trenden, Lindi, Casen, and Daven. Her favorite outing locations include Hebgen Lake, Montana, Hawaii’s North Shore, the rolling hills and woods of Virginia, the Weber River Parkway Trail, and even her own backyard. When she is not writing, reading, or enjoying family time, you'll find Jodi visiting neighbors or having lunch with a girlfriend on 25th Street in Ogden. She loves learning principles through analogies and she discovers inspiration all around her, from nature, stories, friends, and especially from her children. Jodi holds a BA in communications from Brigham Young University, an MS in organizational communications and leadership from the University of Utah, and is a Certified Fund Raising Executive (CFRE). She is the founder of Amplio Development, and is dedicated to living and teaching personal improvement. She resides in northern Utah with her husband and their four children.